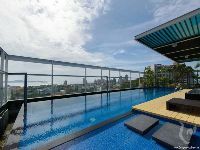 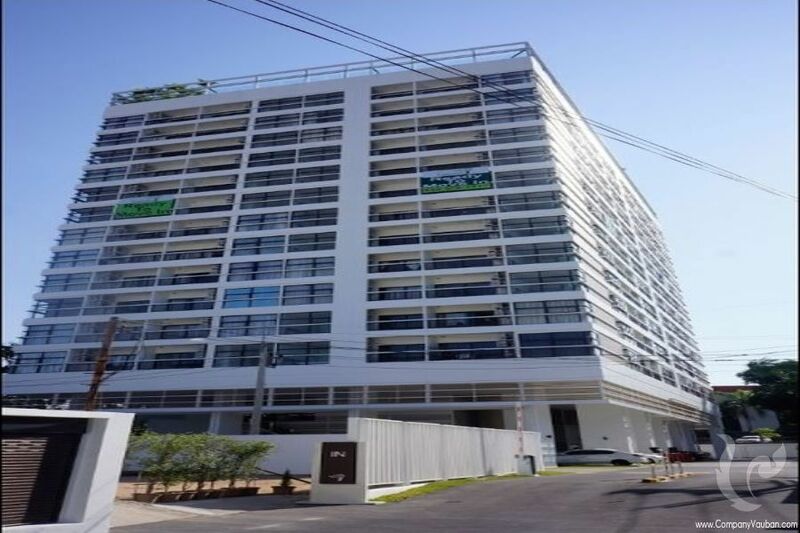 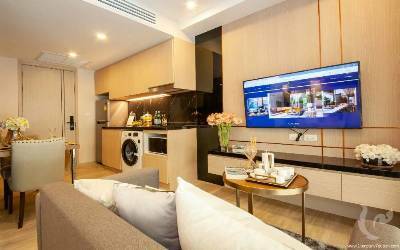 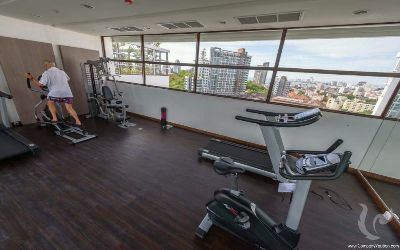 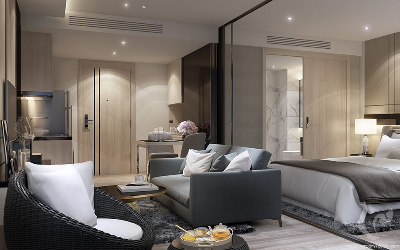 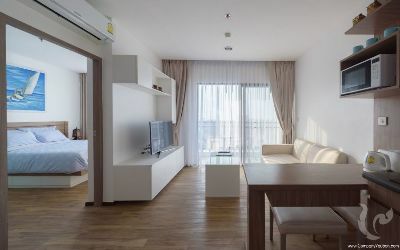 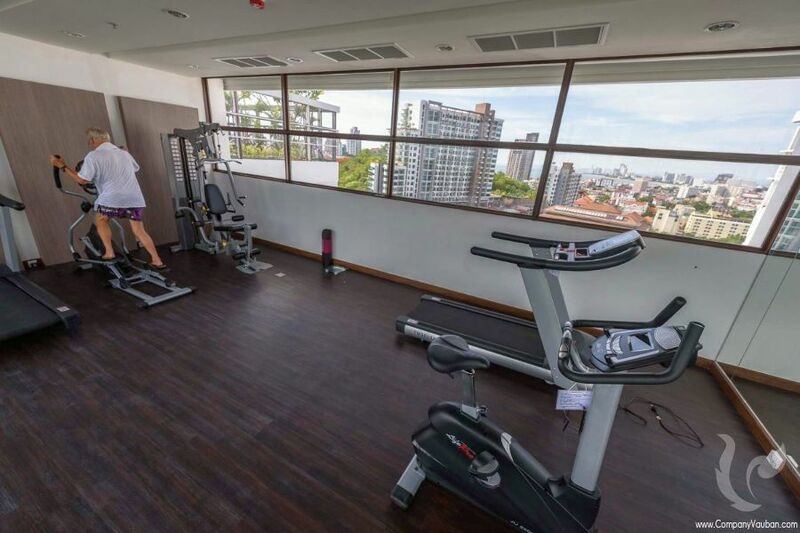 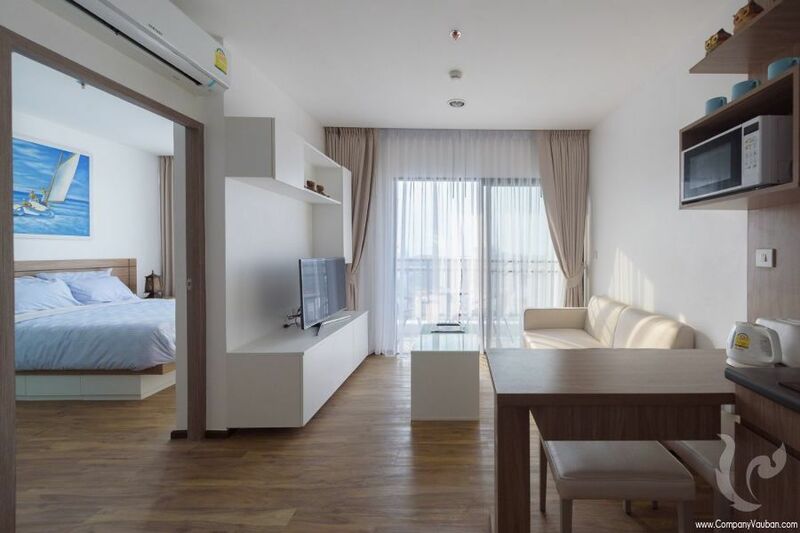 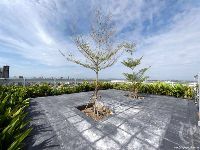 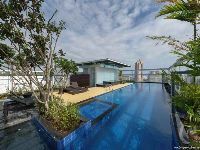 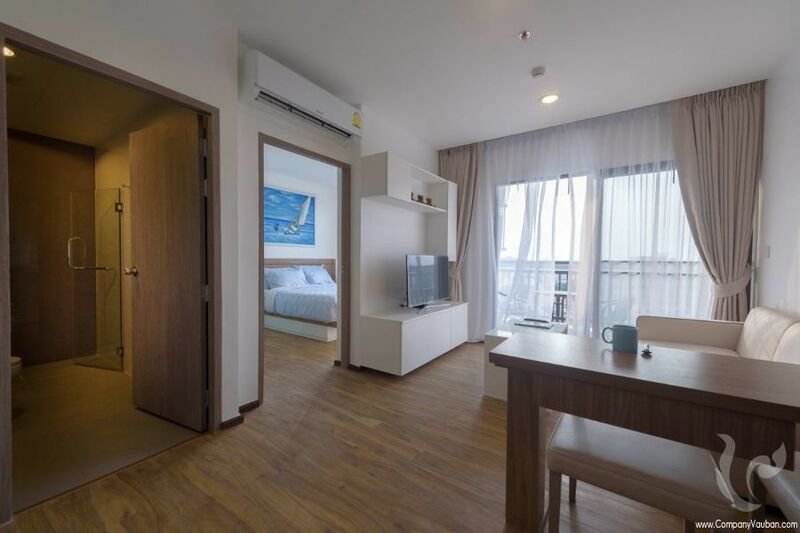 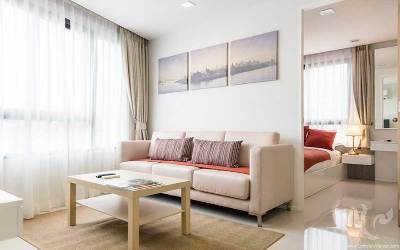 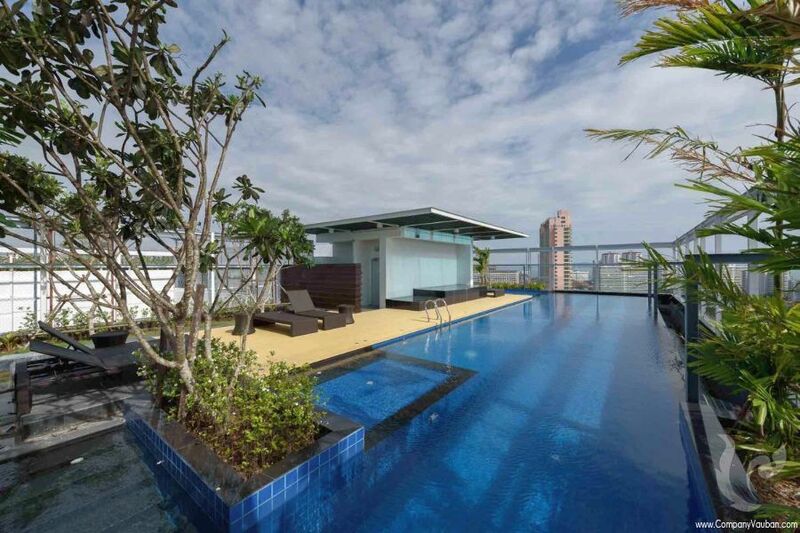 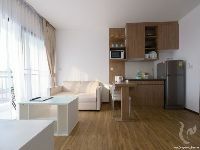 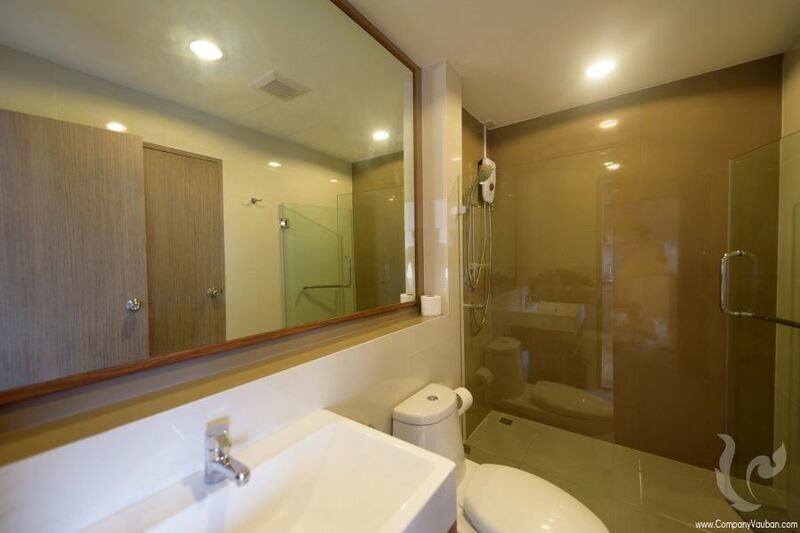 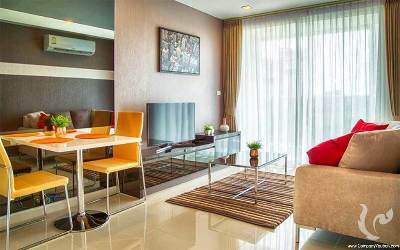 This stylish condo, located 5 minutes from the Jomtien beach, is a secluded 15-storey condominium, taking advantage of a prime location set back from the main Thappraya Road with an amazing view on the Pratumnak Hill. This 1 bedroom unit with balcony is located on the 9th floor with a total of 35 sq.m. 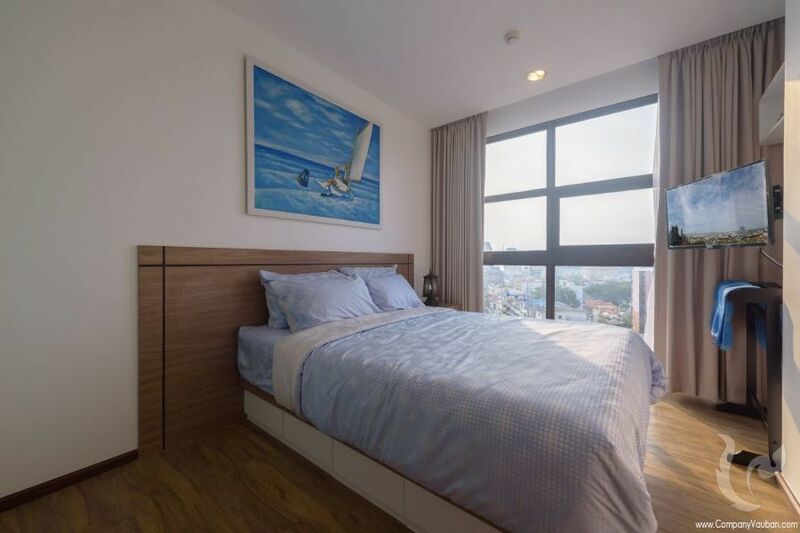 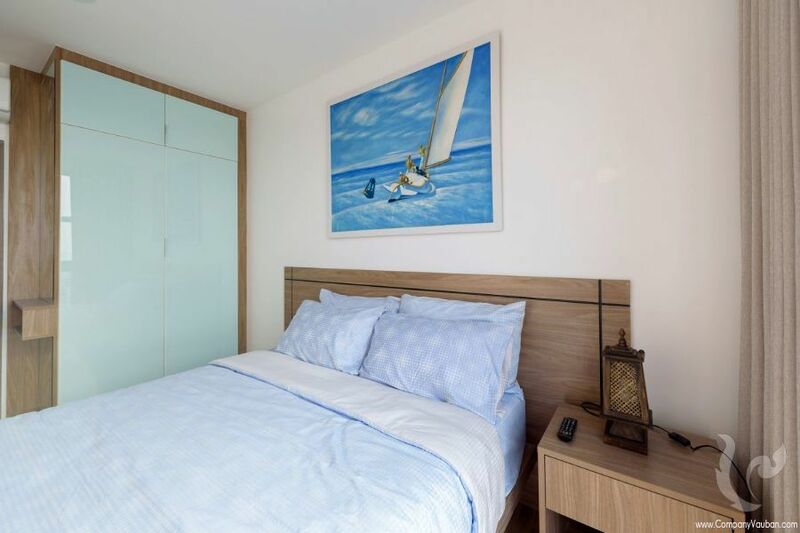 This apartment has impeccable finishes, with a European kitchen, bathroom with rain shower, 2 silent Samsung air conditioning and wood flooring throughout. 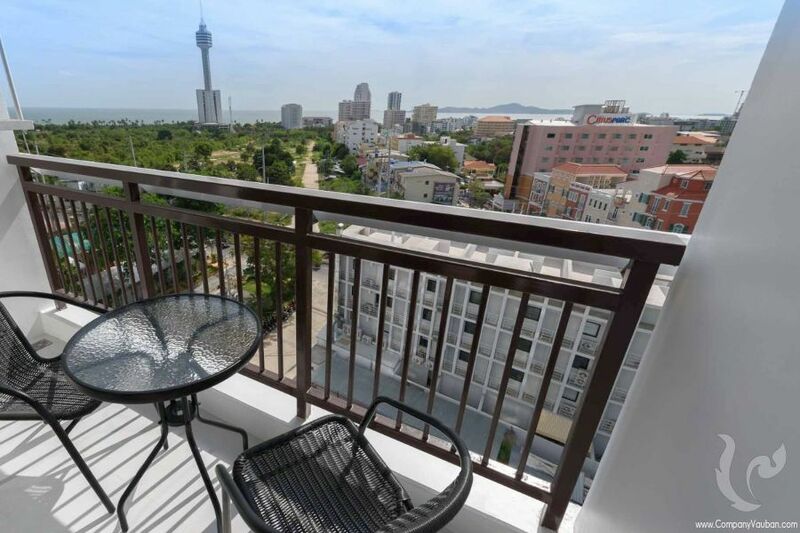 Astonishing view on Koh Larn from bedroom and living room. 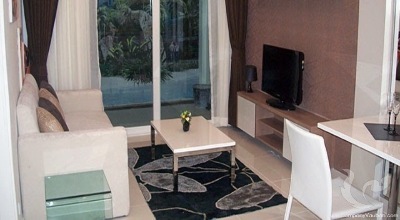 Brand new, tastefully decorated, fully furnished and equipped appartment. This modern condo has quality amenities such as a rooftop infinity pool, a fully equipped sky gym, a sky garden, sundecks and shaded areas. Partially-open tropical resort style lobby. 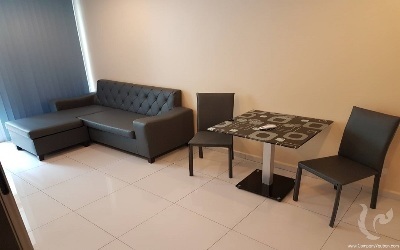 Free WiFi in all common areas. Developer: Boutique Group of Companies Residential units are located on 4th-15th floors due to 3 storey lobby area Total Land Area: 2,657 sq.m. 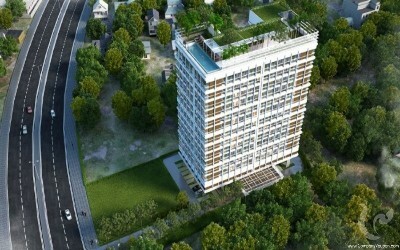 Total Number of Units: 252 units Types of Units: 24 sq.m. 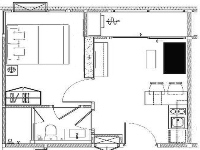 and 25 sq.m. 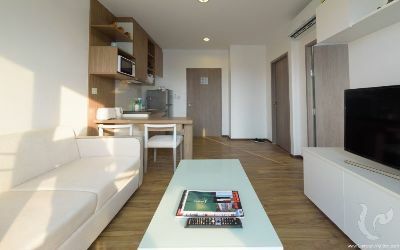 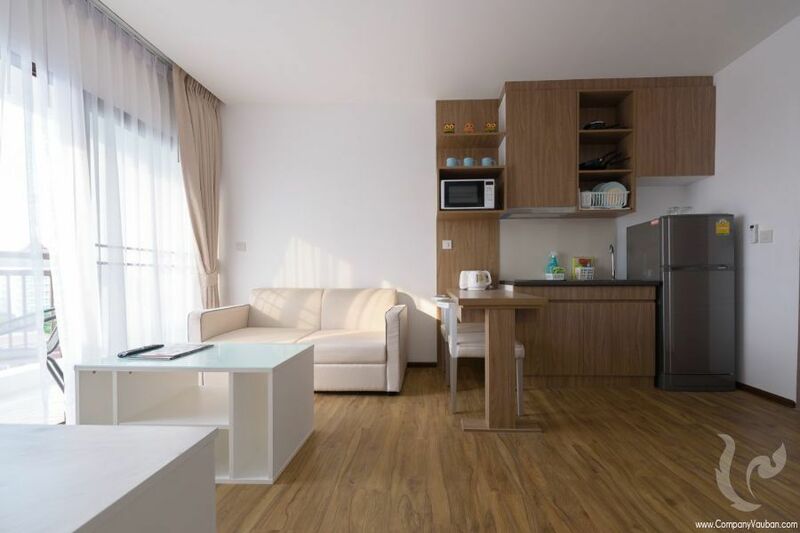 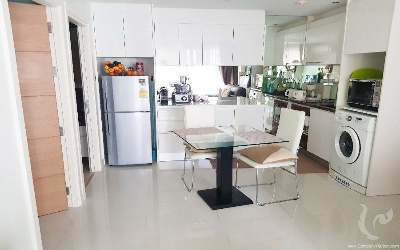 studio units 34.5 sq.m. 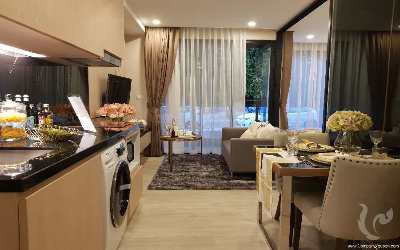 one bedroom units 59.5 sq.m. 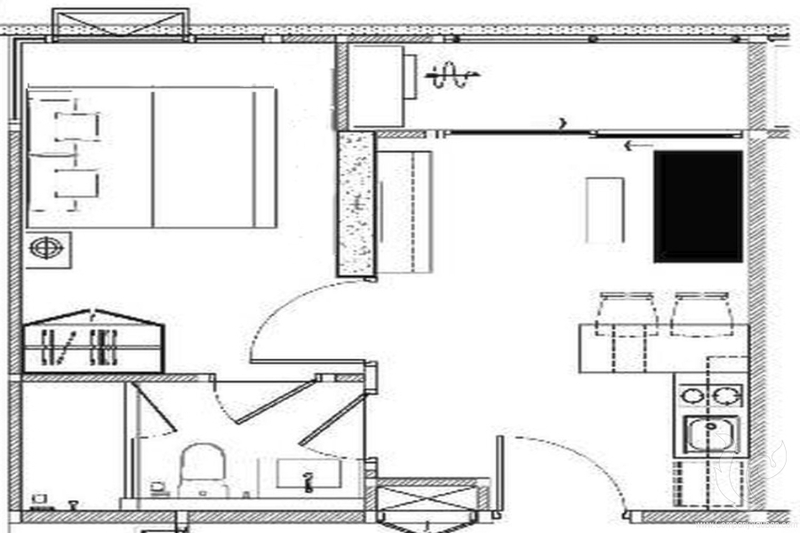 and 69 sq.m. 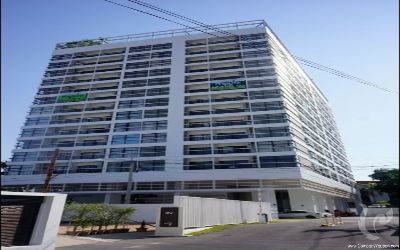 two bedroom units Parking: 44 car parking spaces Facilities: Rooftop infinity pool, Rooftop Shallow pool Fully equipped sky gym, M&F changing rooms Sky garden, outdoor BBQ area, sundecks and shaded areas, landscaped tropical gardens 24-hour security with CCTV Partially open tropical resort style lobby WiFi in common areas.